Home » »Unlabelled » A man wears a dress to a funeral. When I understood why, I needed tissues. 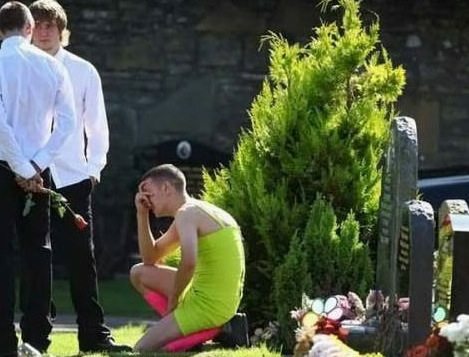 A man wears a dress to a funeral. When I understood why, I needed tissues. When Kevin Elliot was sent to Afghanistan, he had a dark premonition. He actually never wanted to return there for combat duty, but because he had no job or home in England, he did it anyways. 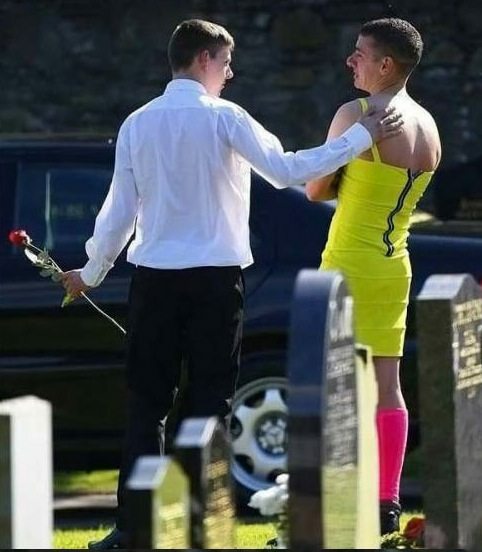 Kevin made his friend Barry promise him to wear an ugly dress to his funeral. It turned out, however, that Barry would have to make good on his promise, for Kevin died in Afghanistan. Kevin and Barry remained in contact over 3 years. Even the distance couldn’t end their friendship. But the horrible happened in the end, and Barry had to make good on the promise he made to his old friend. When the day of the funeral arrived, Barry prepared himself. He actually bought the most garish and ugly dress he could find. 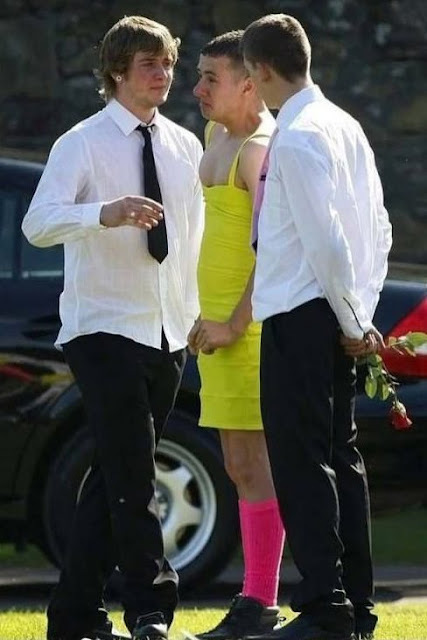 The neon-yellow color of the dress was only overdone by his hideous neon-pink knee socks. 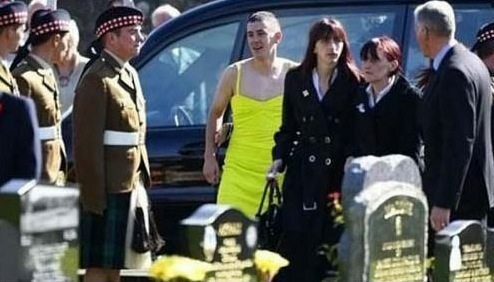 It may have seemed easy to condemn Barry’s choice of clothing at the funeral. But those who knew the story understood that his dress was just a tribute to the wonderful friendship he shared with the dead soldier. A friendship that continued even though they hadn’t seen each other in over 3 years. These touching pictures show unbelievable strength. It is admirable how Barry honors his friend by giving him one last salute. All while keeping his promise. Even if it may look so inappropriate, that is true friendship. Share these sad pictures. They tell a tale of true friendship.